Today’s Morning Star daily newspaper in Great Britain features the cartoon below by freelance illustrator Robert Amos. 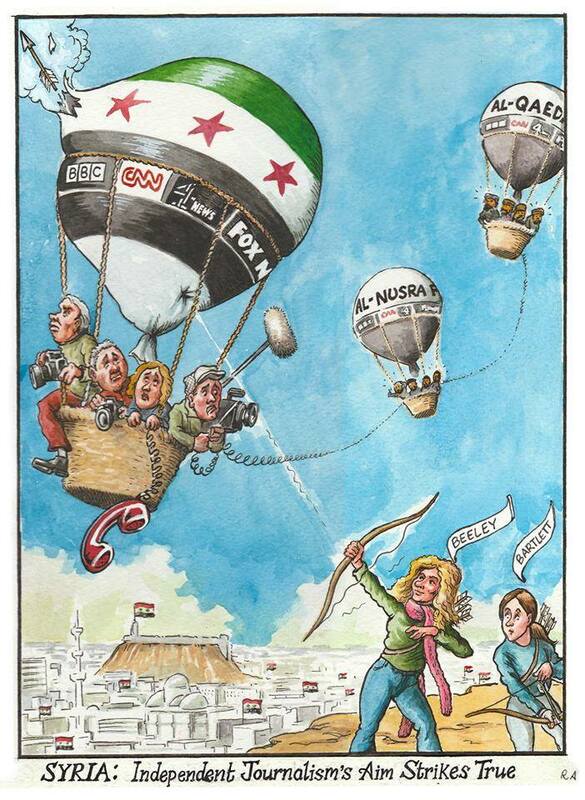 Amos’s work depicts independent journalists Vanessa Beeley and Eva Bartlett puncturing the establishment media’s bubble on Syria. Beeley and Bartlett fought and fought against the mainstream media’s lies and liars until people had no choice but to pay attention. Thanks to both Vanessa and Eva, all other truth-tellers, and those that are courageous enough to share and spread the truth, bucking conformity. Power to ethical journalism, power to truth and power to women!